Pancreatic Cancer, or Pancreatic Adenocarcinoma (PDAC) development can take up to 20 years until it reaches a metastatic, incurable stage. Unfortunately, over 90% of all PDAC cases are diagnosed at this stage. 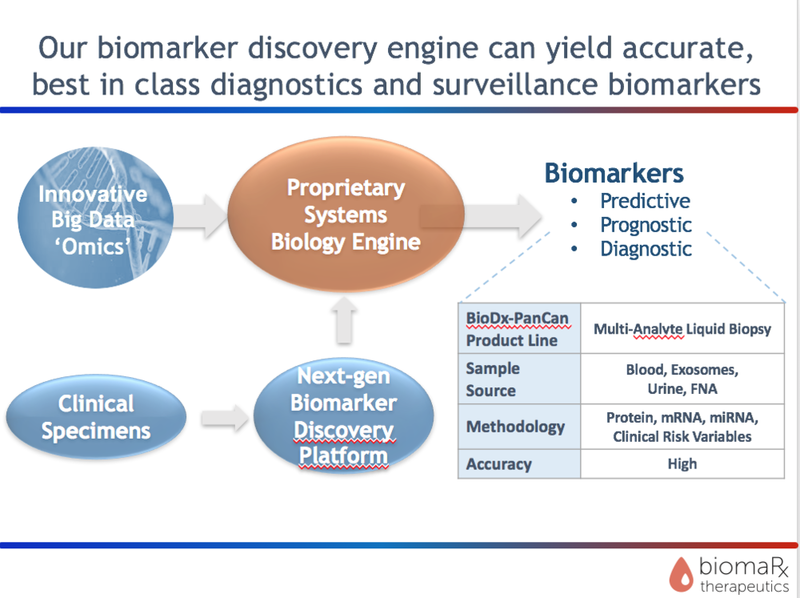 By fusing innovative big data 'omics' with our next-gen biomarker discovery platform, BiomaRx has built a proprietary systems biology engine to identify clinically relevant biomarkers. Our primary goal is to develop a next generation, non-invasive and robust liquid biopsy diagnostic for early detection of pancreatic cancer, offering a dramatic improvement to the current state of treatment, and most importantly, to patients' lives. Based out of Boston, MA, BiomaRx is a seed-stage venture focused on making pancreatic cancer a treatable condition through early diagnosis. The team is developing a non-invasive diagnostic for pancreatic cancer, a disease that is projected to be the second leading cancer killer by 2020. Spun out of Harvard Medical School and Beth Israel Deaconess Medical Center, BiomaRx uses a proprietary systems biology engine to identify next-gen diagnostic biomarkers and therapeutic targets for first-in class pancreatic cancer diagnosis and treatment.